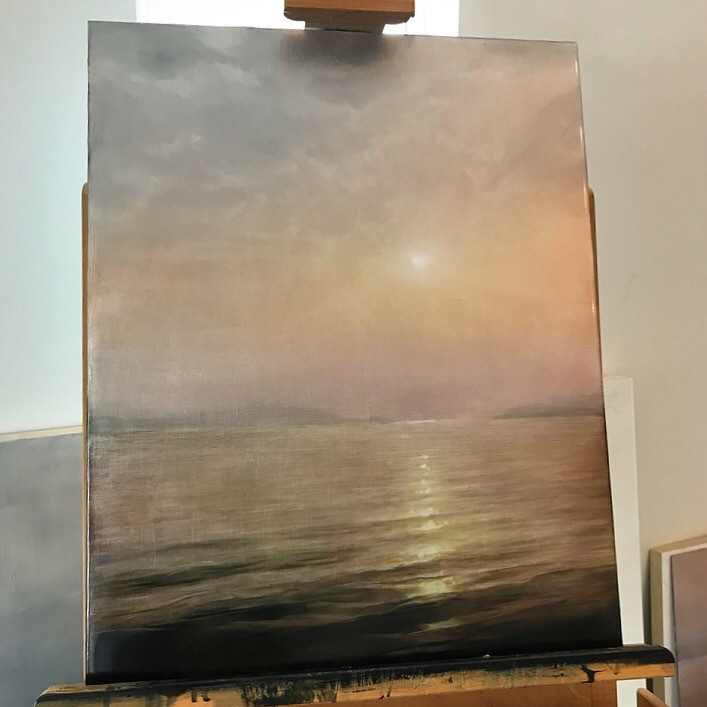 A colorful sunrise painting inspired by an early fall morning on Lake Pend Oreille. I painted this in tandem with “Scotchman Peak”. I typically work on a series of paintings at the same time so they develop together. It keeps my focus narrowed and allows my color palette to be shared. This painting is 24”x36” acrylic and open acrylic paint.